The new Adams Speedline Super S Black Driver is an easy-to-hit driver designed for explosive drives and more fairways hit. Adams patented Velocity Slot technology allows for additional face flexing and creates an incredibly large sweet spot. The Adams Super S driver features improved aerodynamics and a matte white crown for easy alignment and more confidence at address. Fast delivery and great value. Driver is better than $59 price would indicate. 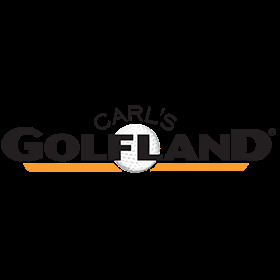 Thank you Carl's Golfland. Bought this driver to see if I could keep the the ball lower off the tee box. I have gained about 20 yards on my drives. The price was great at $59.99 and free shipping. My buddy has not used a driver in 2 years, he hit this club on the par 5's and ordered one while we golfing. Tried my new Adams Speedline Super S Black Driver. First thing you notice is the sound of ball when hit. Sounds like aluminum baseball bat. Very forgiving. Hit my drives 10 to 20 feet longer than my older Taylor Made. light weight. May be best driver I've ever owned. Time will tell. Would buy again in heartbeat. Mine Is 10.5 degree with stiff shaft. Q: What is weight of the shaft and what is the shaft flex? A: I don't know but my shaft just snapped. The driver head flew off. It was horrible. A: Not sure of the weight, but it's a stiff flex. So far it's been going well. I really like it. Q: Is this club considered a #1 driver? A: For the price, I think everyone should own one. A: yes for an older golfer like me. i am 60.